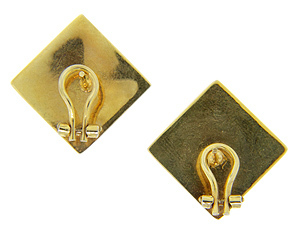 These 14K yellow gold vintage earrings are crafted in the shapes of diamonds. 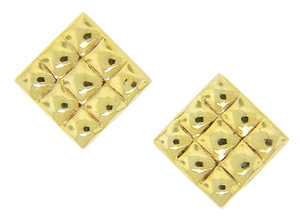 The surface of each of these earrings is worked into a three by three grid. The earrings have omega backs and measure 1” by 1”. Circa: 1970.